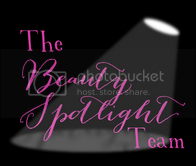 The Beauty Spotlight Team has a new member who's ready to shake us up a bit. Her name is Sylirael and she's the creator of the blog The Painted Rogue. Considering that none of us are truly rogues we can't wait to see what Sylirael from New Zealand has to share with us. Maybe we'll be shaken a little. The Painted Rogue is wondering why academia is still so backwards when it comes to accepting makeup on its members? Here are some grad school looks from both ends of the makeup spectrum! 15 Minute Beauty is sharing her favorite concealer tricks and tips! Do you know all of them? Don't you just love it when a designer creates a new and improved product? That's exactly what Too Faced did with their new Melted Lipsticks. Prime Beauty checks them out and gives you the scoop! The Pink Sith doesn't have a lot of time in the morning so she has everything running like clockwork. See how you might benefit from a Busy Mom's 15 Minute Makeup Routine. Mostly Sunny dislikes mess, but when she gave the magical Givenchy Poudre Première a go, her mess aversion went out of the window! Lola's Secret Beauty Blog adores everything made by PurseN and thinks everyone needs their Handbag Organizer Inserts, Makeup Bags & Sunglass Cases because they organize your purse with great style! Beauty Info Zone is fascinated with butter LONDON's new Lolly Bright Collection. Whether you are in the mood for spectacular Nail Polishes or Sheer Lippy glosses you are sure to find them in this collection. Looking for ideas for the perfect Mother's Day? Phyrra shares her ideas for a Mother's Day to Remember! polish insomniac celebrates Spring with two simple and easy nail art looks anyone can do! Perilously Pale shows us why the Dior Summer 2014 Transat Edition Eyeshadow Palette in Atlantique is a Can’t Miss for Blue Eyeshadow Lovers. Pammy Blogs Beauty checks out the new Venus Snap with Embrace Razor...so cute...but, how does it work?